A new studio school for Plymouth which will train the healthcare and medical professionals of the future has been given the green light by the Government. Plans for the 375-place studio school - sponsored by Stoke Damerel Community College (SDCC) -were announced by the Department for Education on 9 March 2015. The school, which is set to open in September 2017, will offer places to young people in Years 9 to 13 to develop highly-valued vocational skills for the wider healthcare sector. Admitting pupils aged between 13 and 19, the studio school will be separate and distinct from SDCC, whilst taking advantage of the economies of scale of being a part of a multi-academy trust. “We are delighted our Medical and Healthcare studio school has been given the go-ahead,” said Carol Hannaford, principal of SDCC. “Young people at our new school will graduate to desirable, long-term professional careers in the local, national or international healthcare sectors,” she said. Key to the vision for the school - which will offer a range of academic, vocational and professional qualifications in line with the national curriculum - is its partnership with a number of local healthcare educators and practitioners who have been key in formulating the studio school’s unique and innovative curriculum. Partners include the Plymouth University Peninsula Schools of Medicine and Dentistry (PUPSMD), the University’s Faculty of Health and Human Sciences, the Northern, Eastern, Western Devon Clinical Commissioning Group, Plymouth NHS Hospitals Trust, Public Health Plymouth, Age UK Plymouth and Waypoints Dementia Care Home. Studio schools are more like workplaces with a longer school day and classroom teaching combined with work placements. At first students will carry out work experience from half a day to a full day each week. 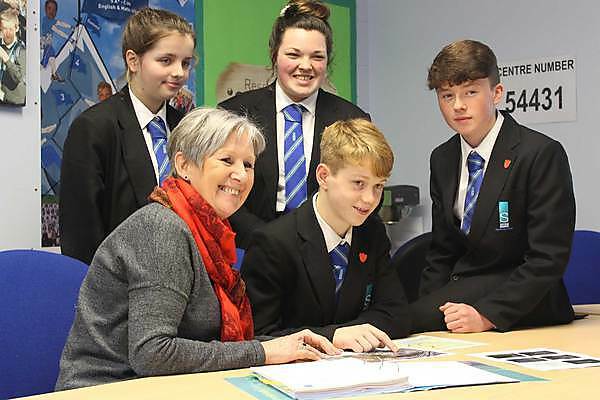 It is anticipated that a proportion of the initial student intake to the school - which will employ a staff of about 40 when full - will come from SDCC, one of the city’s most popular and over-subscribed schools which is gaining a national reputation for its Dementia Project work.